Web woman: Bishakha Datta, the first Indian member of Wikimedia board hopes to increase web pages devoted to women. 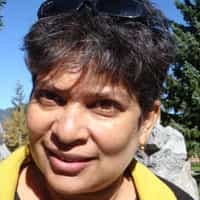 In a press release on Monday, Wikimedia announced that Indian journalist, film-maker and non-profit practitioner - Bishakha Datta would be the newest member in its foundation board of trustees. Michael Snow, chair of the Wikimedia Foundation Board of Trustees said, “Bishakha has tremendous experience supporting non profit organizations around the world, particularly in India." Datta has vast experience in working with non-profit organizations from around the world. She currently runs the Mumbai-based non-profit ‘Point of View’. The San Francisco based Wikimedia Foundation is a non-profit organization, funded primarily through donations and grants, and operates Wikipedia, the free encyclopedia. According to an estimate, the projects run by Wikimedia receive more than 364 million unique visitors per month, making it the 5th most popular web property worldwide (January 2010). Available in more than 270 languages, Wikipedia contains more than 14 million articles, which are contributed by a global volunteer community of more than 100,000 people. In an exclusive interview with Mint, Datta talked about her initial reaction to news of the appointment, her thoughts on the women’s reservation Bill and her objectives in her new role. What are your initial thoughts on this announcement? As an Indian I feel tremendously excited and very proud. The current board, till now, had none from outside US, UK, Australia or China. Wikipedia, the fifth largest website, attracts a big participation from India in its editors, contributing writers and viewers. My experience of Indian culture can help me to serve this audience well. I have been, and still am, serving in boards of various women organizations for some time now. These boards mainly comprise women; this will be the first male dominant board I’ll work with. I think men are more direct in their approach and comfortable in expressing varying viewpoints whereas women tend to try to reach a consensus, so I think it is good and refreshing opportunity. This board has members with exhaustive experience in their respective domains; hence there are, on offer, strong opinions backed by years of experience. It is an interesting and strong team in that sense. Do you think your appointment is an acknowledgement of India’s growing influence in world affairs? Absolutely. India is constantly being acknowledged around the world, not only for its strong and resilient economy but also for its technical prowess. The recent tech fair at Mysore was a testimony to this fact. What are your immediate and long-term objectives in your capacity as a member of the Foundation Board of Trustees? How do you plan to use Wikimedia in improving the condition of women in India and abroad? Firstly, this board is a governing council and not an operational body. Secondly, the mainstay of our organization is our group of volunteer editors and contributors. The board will set policies to support this growing membership. The board will also look for opportunities to promote sister projects of Wikipedia. Already available in more than 270 languages, Wikimedia has to make endeavors to convey information and content in many more tongues. Our efforts will be to make sure that knowledge is available to people in India and beyond in their own languages. Wikimedia is truly a global and vast repository of community-generated content, our emphasis will be to make it even more global. Wikimedia is a fantastic platform for women to contribute. Pages on women, like on Bhawari Devi from Rajasthan, who’ve fought a long and hard battle for justice, do not exist on Wikimedia right now. Women like her, who’re often overlooked, need both presence and information, in various languages, on a global platform like Wikimedia. A growing number of women are now contributing information that is relevant and important to women around the world. What do you think about the women’s reservation Bill? How can it help Indian women and society overall? Prima facie, it will be a positive development if actualized. I recently did a study on Indian rural women in ‘And who will make chapattis?’. The study shows how the heavy chains of traditionalism prevent Indian women’s ascent to economic and political independence. Women in panchayats, after their reservation of 50% seats, brought unique issues and views to the table that the panchayat had hitherto been indifferent or ignorant to. This is not to say that the presence of women in the Parliament will definitely curb corruption, or that some of them won’t act as proxies, but it is a fact that they need an adequate representation at the center for concerns that have not been addressed yet.